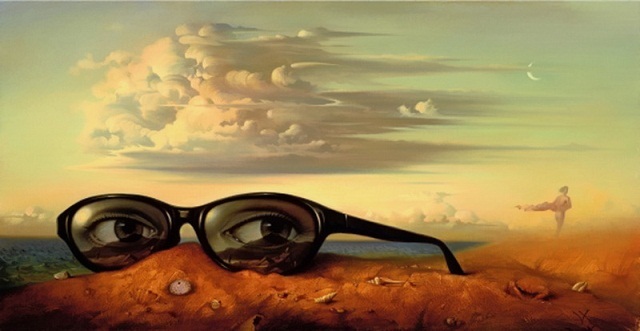 Surreal art is very common now and mind you, not all portrait artists are able to create good surreal art. Digital surreal art is a very complicated form of artwork. Surrealism is quite commonly used for articulating our dreams and visions, something which is not in our conscious control. When someone looks at the surreal art, they got to really think deep in order to fully understand the concept behind the painting. If you are interested in creating creative art gallery, but don’t know how to start, let’s get started. We will be teaching you some ideas to use if you want to create a surreal art. So in order to start you need to be able to combine a living thing with a non-living thing, and how will you do that? Simple! For example, make some trees in a forest and give them ears. This will make the observer think, is it the trees in the forest or some different creatures. If the observer is left thinking about the work, bravo! You have succeeded in the first step of creating a surreal painting. For getting this right you need to make a cocktail of different parts of the living things. You can combine human ears with a beak of the bird and the horn of the deer and so on. You might have noticed whenever we dream we seem to see things in the magnified version. You may see a small ant as a giant ant monster. You can create this as a painting and the observer will surely reach into a dreamy state and can easily relate to your work. So, this is a little tricky to explain. But, to give this touch you can create a face of a human, but with one of the parts of the face missing. You cannot add the nose, this will give your oil painting a surreal touch for sure. Although I have to agree grasping surreal art is an art in itself, but once you are thorough with the concept behind it, you can ace it. All you need to do is dig deep, deeper and deeper and search and search. Learn as much as you can, go to different sites and see the work of different portrait artists and try to learn the meaning behind their work. Once you are able to do that, you can easily come up with more and more ideas of your own and that too easily and quickly. Suzi Nassif is one of the most creative surrealist artists, some of her paintings can be great inspiration for you.